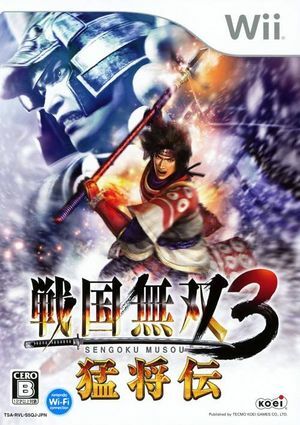 Sengoku Musou 3 Moushouden (戦国無双3 猛将伝), known in english as Samurai Warriors 3: Xtreme Legends, is an extension to Sengoku Musou 3 (Samurai Warriors 3) that offers two-player online and offline co-op with enhanced sharing features. The game also uses a special new game mode that offers players unique control of characters never seen before. This game mode is based on the Famicom game Nazo no Murasamejo (The Mysterious Murasame Castle) inspired by Nintendo video game designer Shigeru Miyamoto. Sengoku Musou 3 Moushouden is capable of using both GameCube controllers and Wii Remotes. If a physical controller is set to emulate both a GameCube Controller and a Wii Remote concurrently, it will operate both devices at the same time. To fix, migrate controls to use separate physical controllers. With Dolphin 3.5 the game will crash when you select a Weapon/Horse. The game is playable in 3.0 revisions, with Audio Throttle off and Safe Texture Cache enabled. The graph below charts the compatibility with Sengoku Musou 3 Moushouden since Dolphin's 2.0 release, listing revisions only where a compatibility change occurred.